During the month of April, I decided to go on a “shopping diet” – so for the entire month, I didn’t buy a stitch of clothing. While this might seem like a cinch for some of you, for shopaholics like me, it was a huge wake-up call. Not only did I save a ton of money, but I was also able to see how often I shopped as a reaction to outside stimulus. Bad day at work? I had the urge to shop. Worried that I might miss a sale? I had the urge to shop. Bored? Oh yeah, I definitely got the urge to shop. 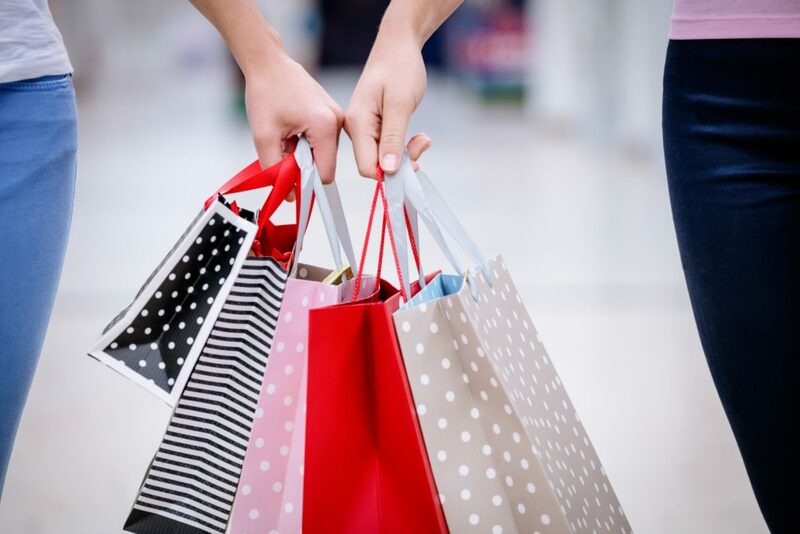 Shopping can be a deeply psychological experience, and you probably have shopping triggers that give you that itchy credit card finger long before you ever step into a mall. Let’s face it: When you’re a psychological spender, you know you’ll buy something before you even enter a store. Spending to fill a void or to achieve certain feelings can seriously bust your personal budget and cause you to buy things that you don’t even need. They say that after running, you get a runner’s high – I’m definitely not a runner, so I’ve never experienced this. It’s attributed to the release of dopamine that occurs after you’re done with your run. But for those who love to shop, the same high can be attained through the actual act of buying. Consider these stats: According to data gathered by Harris Interactive, 31% of women say that they’ve shopped specifically to elevate their mood, and 53% of people have shopped as a way to celebrate something. It’s clear that shopping is associated with good feelings – but it comes at a cost. Solution: If you find yourself reaching for your credit card to feel good, check yourself and consider taking part in other activities that give you the same feelings. You don’t have to run for a runner’s high – even staunch non-runners like myself can score those happy endorphins through other types of exercise, such as yoga or kickboxing. Spending time with your pet can also make you feel good and reduce your need to shop to be happy. One thing that I do when I get the urge to shop is to head to the drugstore for a smaller purchase, such as new lip gloss. It helps satisfy the urge and gives me the same satisfaction as a bigger purchase. Find things that give you satisfaction, such as reading a book, going for a walk, or grabbing appetizers with friends, and you’ll get the same good feelings without the high price. There’s a reason that Black Friday is the biggest shopping day of the year – and it definitely isn’t because people love waking up early to fight off crowds. Black Friday preys on your competitive human nature. When big sales come up or a sale states that there are only a limited number of items available, your brain tells you that you need to be there and you need to win. You might also allow competition to cause you to buy things that you can’t afford, especially if a family member, friend, or neighbor already has a specific item. Solution: Shopping isn’t a game, and there aren’t winners and losers. 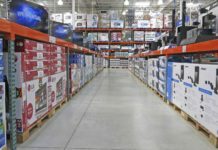 Stores know that telling you about limited quantities will get people in the store, so think about whether you’re going for an item because you really need it, or because you want to “win at shopping.” Let’s be honest – the biggest winners are those who buy only what they need and keep the rest of their money in their wallets. 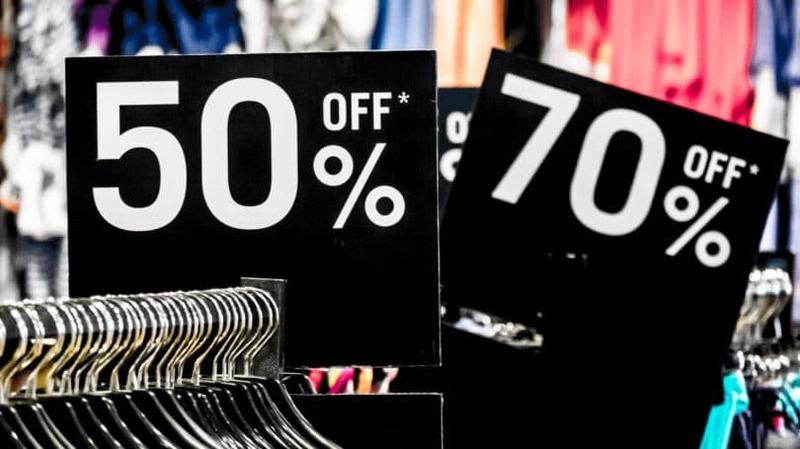 Your brain does a funny thing when perusing sales: When you see a sign that says “Save 50%!” it begins focusing on the savings rather than the spending. In fact, it’s jargon you’ll hear at any department store. You’ll check out with your purchases and the sales associate might say, “You saved $43.78 today!” You might have even used coupons or added discounts to increase that savings number. You feel good about being a savvy shopper, right? Unfortunately, your brain has fallen for one of the oldest tricks in the book, where a store makes you focus on what you’re saving, rather than what you’re spending. Solution: Let’s get one thing straight: You never save money by spending it. Sure, promotions, sales, and coupons can give you a lower total, but you’re still spending money to purchase the items you want. Don’t fall into the trap of spending just because you want to save a certain amount. The best way to save is with a savings account, not a store receipt. While on my shopping fast, I realized just how often shopping acted as a stand-in for various emotions. Happy, sad, annoyed, tired mad – it all culminated in shopping. Buying things feels good, so it can combat a bevy of bad feelings. According to Harris Interactive, one in four people have gone shopping specifically as a form of therapy – to deal with emotions or problems. Solution: Honestly, hitting the mall when you’re in a bad mood might not be a life-or-death situation, but it still affects your budget and doesn’t allow you to completely deal with your emotions. You’re relying on the dopamine to help you feel better when you buy, but it’s only a short-term fix. Rather than heading to the mall, find other ways to cope – writing in a journal, talking to a friend, starting a blog, or even seeing an actual therapist can all be more beneficial than spending to feel better. If you feel like a trip to the mall is going to help put a bad day behind you, open your budget. If you don’t have a budget set up yet, sign up for Personal Capital before you keep reading this article. Once you’ve looked over your budget, you should be reminded where your money is supposed to be going. Retailers play tricks on you to get you to spend. You’ve always learned that getting a good value for your money is best, so you might be more inclined to shop sales or clearance racks only. But consider the experience of mega-retailer JCPenney. In 2012, CEO Ron Johnson decided to try something new: He revamped the store’s image by putting an end to what he called “fake pricing,” which referred to psychological pricing that ended in $0.99, clearance buys, and pricing that was discounted from a clearly inflated number. In theory, it sounded nice. In practice, customers weren’t buying it – literally. Customers didn’t feel like they were getting value from their purchases. Sales plummeted, and a few months later, sales were back and so were the clearance racks. By 2013, Johnson had lost his job and JCPenney completely returned to its old pricing system. Solution: Without that red line through the supposed original price and a sale price printed beneath, shoppers don’t feel like they’re getting a huge value for their money. One thing that I use to combat clearance fever is to step back and ask myself, “Would I buy this if it weren’t on sale?” If the answer is no, I put it back and move on. One of the psychological spending traps I am most guilty of is spending out of boredom. During my shopping fast, my in-laws took my kids for the weekend with the rest of the family and I had two glorious free days to myself. My first inclination? Go shopping. Hey, I had free time and I was bored, so naturally spending money was my first choice activity. Shopping is a pleasant activity that keeps you busy, so it’s often substituted for other more fulfilling activities. Solution: Because I was on my shopping diet, I tried something new instead: catching up on my DVR list. I had tons of movies saved, so I used my quiet time to catch up on TV shows and watch some saved movies. It was free and just as enjoyable as shopping. If you’re a leisure shopper, think of other activities you can sub for shopping and have them ready to go. That way, when you feel like a free afternoon automatically means a trip to the shoe store, you’re ready with a better alternative. Flash sales, which are offered online via discount group buying sites, use your sense of panic to make you buy, especially because deals are often short-lived. When you buy into a group coupon or you nab a special deal on a watch, you feel a sense of relief because you’re one of the lucky few to score the deal. But buying into flash sales can make you spend needlessly – especially when you’re buying stuff you didn’t even want before it was on sale. Solution: As a reformed flash sale user myself, the best thing I ever did was unsubscribe to all of the daily emails. Seeing them pop up every day led me to browsing, which usually led me to buying. Now, if I’m looking for a specific deal, I can check in with each site individually and on my own time, rather than having the deals delivered to me each day. Targeted spending means I save money and am no longer tempted by the panic I’d feel when I’d see a flash deal. We’re all guilty of psychological spending. The problem is that retailers know it and find ways to specifically play mind games to get you to spend. It’s all about knowing your triggers: If you know what drives you to spend, you can put safeguards in place to curb that spending and replace it with something more rewarding – and easier on your wallet. Are you guilty of psychological spending? What are your triggers?